The central paradox of the contemporary world is the simultaneous presence of wealth on an unprecedented scale, and mass poverty. Liberal theory explains the relationship between capitalism and poverty as one based around the dichotomy of inclusion (into capitalism) vs exclusion (from capitalism). Within this discourse, the global capitalist system is portrayed as a sphere of economic dynamism and as a source of developmental opportunities for less developed countries and their populations. Development policy should, therefore, seek to integrate the poor into the global capitalist system. The Global Development Crisis challenges this way of thinking. Through an interrogation of some of the most important political economists of the last two centuries Friedrich List, Karl Marx, Leon Trotsky, Joseph Schumpeter, Alexander Gerschenkron, Karl Polanyi and Amarta Sen, Selwyn argues that class relations are the central cause of poverty and inequality, within and between countries. In contrast to much development thinking, which portrays ‘the poor’ as reliant upon benign assistance, this book advocates the concept of labour-centred development. Here ‘the poor’ are the global labouring classes, and their own collective actions and struggles constitute the basis of an alternative form of non-elitist, bottom-up human development. Ben Selwyn is Senior Lecturer in International Relations at the University of Sussex, and author of Workers, State and Development in Brazil: Powers of Labour, Chains of Value (2012). "Despite the rise of unprecedented inequalities in the global economy, the neoliberal assertion that the 'free market' is an unalloyed source of economic opportunity for all countries retains enormous power and influence. For the poor nations, it is market exclusion that is taken to be the central development problem. Selwyn takes these sorts of neoliberal nostrums head on, arguing that understanding patterns of immense wealth and mass poverty requires a deep and sustained theoretical and empirical scrutiny of capitalist processes of development. The Global Development Crisis provides a masterful analysis of key development thinkers who provide the framework for a 'labour-centred development'." 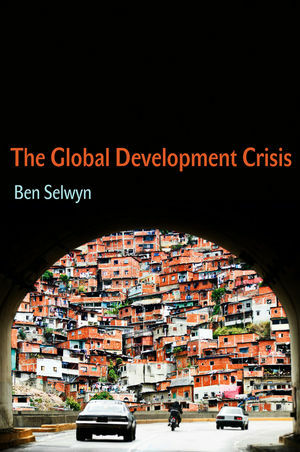 "Selwyn's The Global Development Crisis advances critical debate about the goals of social change and how they might be achieved. Selwyn's critical engagement with influential ideas makes this a fecund text for students, faculty and activists. By bringing class relations back to the centre of development discourse, and outlining how a labour-centred development might emerge, Selwyn is doing great service to the goals of equality and human development."